Last night in the lobby* of Alumnae Theatre, director Ali Richardson presented her cast doing a first read-through of the script of The Clean House, the final show in Alumnae Theatre Company’s season. It was the first time many of the cast had met, but they did an amazing job, aided by producer Laura Jabalee Johnston’s reading of the often-funny stage directions. Also present for this first read were set designer Orly Zebak, costume designer Daina Valiulis, props designer Helen Monroe, and sound designer Nick Potter. Stage Manager Lizz Armstrong and Production Manager/lighting designer Steph Raposo unfortunately could not be there; they’re currently working on other shows. Several Alumnae Theatre Company reps attended by invitation, including bloggergal (yours truly), Alumnae’s President Brenda Darling, and marketing team members Carina Cojeen (who took the photo) and Jeanette Dagger. Sarah Ruhl’s delightful and semi-mystical play The Clean House was a finalist for the 2005 Pulitzer Prize in Drama. L-R: Annemieke Wade (Virginia), Lilia Leon (Ana), Andrea Irwin (Lane), Marina Moreira (Matilde), Laura Jabalee Johnston (producer), Ali Richardson (director) at the first read. Neil Silcox (Charles) would be at far left. Photo: Carina Cojeen. In it, Lane (played by Andrea Irwin) is a buttoned-up workaholic Connecticut doctor who hires a young Brazilian woman, Matilde (Marina Moreira) as her housekeeper. But Matilde (the Portugese pronounciation is approximately “ma-chil-jee”) hates to clean – she’d rather spend her time coming up with the perfect joke. Lane’s sister, Virginia (Annemieke Wade), a bored but smart-mouthed stay-at-home wife, is a confidante to both. Lane’s surgeon husband Charles (Neil Silcox) is mentioned, but conspicuously absent for almost all of Act I. He shows up in Act II, falling madly in love with one of his patients, Ana (Lilia Leon). The resulting love triangle was played out both comically and with deep emotion – a beautiful balancing act by the actors, especially at this early stage. Looking forward to seeing this production as it develops in rehearsals! The finished article will be presented on the Main Stage at Alumnae Theatre, April 7 – 22. See the Facebook event (https://www.facebook.com/events/1301005259957126/) and Alumnae Theatre website for more info and news. PERFORMANCES: Wed – Sat at 8pm; Sun 2pm. TICKETS: 2-for-1 Wed; $20 on Thu/Fri/Sat; PWYC Sun. Purchase online in advance (http://www.alumnaetheatre.com/tickets.html), or reserve and pay cash on arrival. Please note that in-person sales are cash only; no credit or debit cards accepted at Box Office. RESERVATIONS: 416-364-4170, Box 1 or reservations@alumnaetheatre.com. *because every other space in the building was in use – no kidding! Rehearsals for New Ideas Festival (opening March 8) on both the 2nd floor and in the Studio; and Toronto Irish Players are renting the mainstage for The Night Joe Dolan’s Car Broke Down (running to March 4). IN CASE YOU MISSED IT over the holidays, there are still a few days to submit your headshot and résumé to be considered for an audition for the final production in Alumnae Theatre Company’s season – the April show, Sarah Ruhl’s The Clean House, directed by Ali Joy Richardson. Deadline to submit is 5pm on Sunday, January 8. The Clean House, a finalist for the 2005 Pulitzer Prize in Drama, takes place in the home of married doctors whose young Brazilian cleaning lady is fixated on creating the perfect joke. Their strict household unravels when the husband falls in love with one of his patients. A fast-paced, fearlessly honest, and wildly funny look at class, comedy and the nature of love. Please submit your headshot and résumé, with a cover note detailing which audition slot(s) you are available for. Also specify your union status, and whether you are a member of Alumnae Theatre Company. In the subject line of your email, please include the character you’d like to audition for. Please read the play before auditioning. Reading copies are available at the 5th floor Performing Arts desk of the Toronto Reference Library. Sides from the script will be provided to those selected to audition. We would also ask that those auditioning prepare a short joke, in any language. Audition Slot 4: Monday January 16: 7pm-10pm. Deadline to submit: Sunday January 8th, 2017 at 5pm. LANE – F, early 50s. An important doctor. She wears white. Extremely smart, extremely driven, not extremely happy. MATILDE – F, late 20s. Brazilian. Lane’s cleaning lady. She wears black. She has a refined sense of deadpan. She is confident and wryly matter of fact about the dark parts of life. ***Note: Actor must be able to speak basic Portuguese and speak English with a Brazilian accent. VIRGINIA – F, 50s. Lane’s older sister. She loves cleaning. Could have been someone important. Hides her disappointment. Tries her best and treats others well, even if they hurt her. CHARLES – M, 50s. Lane’s husband. A compassionate surgeon. He is child-like underneath his white coat. Deeply in love in Ana. Wants to save the day. ANA – F, 60+. She is Argentinean. She is impossibly charismatic. Deeply in love with Charles. She is dying and embracing it. She knows herself. Rehearsals begin late February, part-time schedule. Venue for auditions, most rehearsals, and the performance (April 7 – 22) is Alumnae Theatre, 70 Berkeley St, Toronto. Please note this is a non-union and non-paying engagement. Equity and diversity are factored into every casting decision at Alumnae Theatre Company. We encourage and welcome submissions from artists of all genders, ethnicities, and abilities. We would like to thank all applicants for their submissions, but will only contact those applicants to whom we are able to offer an audition. The auditions for New Ideas Festival 2017 take place in the first week of January, and right after that (January 14 – 16) are the auditions for the final show in The Alumnae Theatre Company’s 2016/2017 season. This runner-up for the Pulitzer Prize takes place inside the home of married doctors whose young Brazilian cleaning lady is fixated on creating the perfect joke. Their strict household unravels when the husband falls in love with one of his patients. This is Sarah Ruhl at her best; The Clean House is a fast-paced, fearlessly honest, and wildly funny look at class, comedy and the nature of love. Venue for auditions, most rehearsals, and the performance is Alumnae Theatre (70 Berkeley St, Toronto). Review of “August” – running to April 23. Alumnae Theatre Company cordially invites you to attend a family gathering at the home of Beverly and Violet Weston in Pawhuska, Oklahoma. 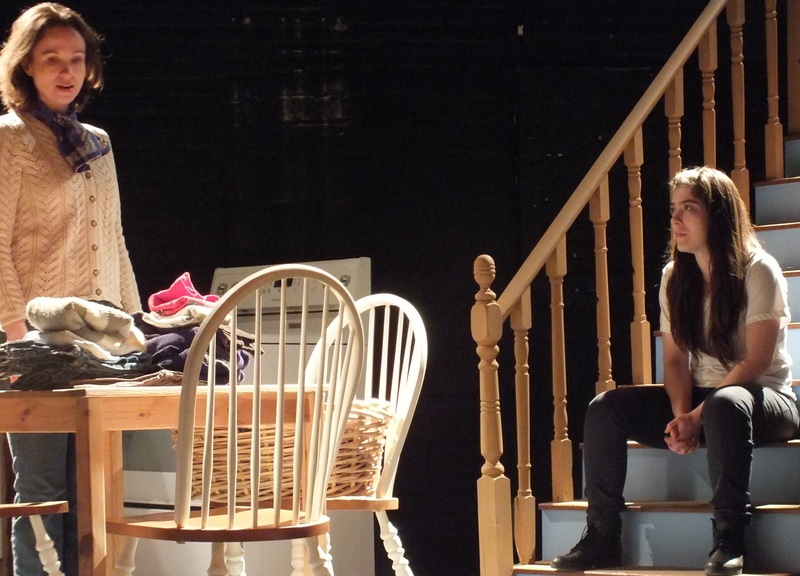 Alumnae opened its production of Tracy Letts’ August: Osage County on the mainstage last night. Directed by Victoria Shepherd and featuring a talented ensemble, this is family dysfunction at its grittiest, no holds barred best. Anyone fancy a little play reading over the holidays? You might want to slot that in, because auditions for the final production in Alumnae Theatre Company’s season, August: Osage County, take place January 17 – 19! The play earned playwright Tracy Letts the 2008 Pulitzer Prize for Drama, and won five Tony awards (Best Play, Best Direction – Anna D. Shapiro, Best Scenic Design, Leading Actress -Deanna Dunagan, Featured Actress – Rondi Reed as Mattie Fae) for the original Broadway production. Alumnae Theatre Company’s production (April 8 – 23, 2016) will be directed by Victoria Shepherd, who has helmed many shorts in Alumnae’s Big Ideas and New Ideas, as well as Tennessee Williams’ Summer and Smoke on the mainstage. Other favourite directing credits are the Titanic-themed drama Scotland Road (for Amicus Productions) and the charming, based-on-a-true-Canadian-story Queen Mili of Galt (for Village Playhouse). When the family patriarch vanishes, the Westons return to rural Oklahoma to care for their afflicted, manipulative mother. Winner of the 2008 Pulitzer Prize, Tracy Letts’ darkly comic drama is a harrowing epic that puts the “fun” in “dysfunctional”. CALLBACKS: evenings of January 25 & (if required) January 26. Please prepare a short (2-3 min.) contemporary monologue. Please read the play before auditioning. Reading copies are available at the Toronto Reference Library, 5th floor – Performing Arts desk. Please submit or bring your photo and résumé. Please e-mail augustauditionsATC@gmail.com or leave a message on the audition line at 416-364-4170 ext 3. The Alumnae Theatre Company encourages diversity in its membership and casting. Please note this is a non-paying engagement. It’s a tough sell – any play about grief or loss or terminal illness… you get the picture. A play about parents dealing with the barely-comprehensible tragedy of losing a child, well it takes a brave audience to go there. Full disclosure: I am not a parent. As an actor, I did audition for the role of Becca, the grieving mother in Rabbit Hole, because it’s a fantastic part and I absolutely adored David Lindsay-Abaire’s script, which deservedly won the Pulitzer Prize in 2007. Yes, go! You will be transported into the family life of Becca (Paula Schultz) and Howie (Cameron Johnston), eight months after the sudden death of their only child, 4-year old Danny. The actors, including Joanne Sarazen as Becca’s sister Izzy and Sheila Russell as their mother Nat, are perfectly real. It’s like you know these people; you’re sitting in their very real kitchen (kudos to set designer Jacqueline Costa and the tech wizards who arranged running water onstage!) or sunken living room eating cake and chatting. Schultz has the brittle, dry-eyed quality of a woman barely holding it together as she navigates the pointless wasteland her life has become. When she accuses her husband of thinking she’s “not grieving enough for you”, you can feel the pain of both parents. Must particularly mention the scene transitions. Sometimes they can be awkward moments in semi-darkness when actors or stagehands move furniture or place props for the next scene. In this production of Rabbit Hole, Hardy has the actors smoothly pick up props, replace a chair into position, etc. in a sort of gentle dream-state. Meanwhile, Angus Barlow’s original compositions perfectly underscore the moment. As Hardy hoped, “the music is like a character onstage who speaks when silence falls over the performers.” Exactly. The silent moment at the end of the play is just stunning. So’s the whole thing, actually. But you can see for yourself – Rabbit Hole runs to April 26. Tickets can be purchased online at www.alumnaetheatre.com, or check the site for other options. There’s a 2pm matinee today – no reservations required, and it’s PWYC. RUN! “Rabbit Hole” opens on Friday! A few years later, he adapted his play into a screenplay. The 2010 film starred Nicole Kidman and Aaron Eckhart as the grieving parents. Our design goals with Rabbit Hole were to create as much detailed reality inside of the theatre as possible. The general concept of the set [designed by Jacqueline Costa] was a dollhouse. We hoped to create the perception of looking inside a real house – as though the walls have been lifted. [Composer/Sound Designer] Angus [Barlow] created music based on iconic synth-based film soundtracks of the 90’s. American Beauty, Six Feet Under, and True Romance served as inspiration for me. We hoped the music would give help us keep the energy of the scenes thoughout the changes. It’s like a character onstage who speaks when silence falls over the performers. Rehearsal photo (taken by director Paul Hardy) of Alumnae Theatre Company’s production of “Rabbit Hole”. Paula Schultz as Becca; Joanne Sarazen (on stairs) as Izzy. So do enjoy Rabbit Hole, and do laugh at the jokes. It runs April 11 – 26, with performances Wed – Sat at 8pm; Sundays at 2pm. There’s a Talkback with cast and director following the matinee on April 20. Purchase tickets online at www.alumnaetheatre.com; or reserve at 416-364-4170, xtn 1 and pay cash (2-for-1 Wed; $20 Thu/Fri/Sat; PWYC Sun) at Box Office.